Hi everyone! 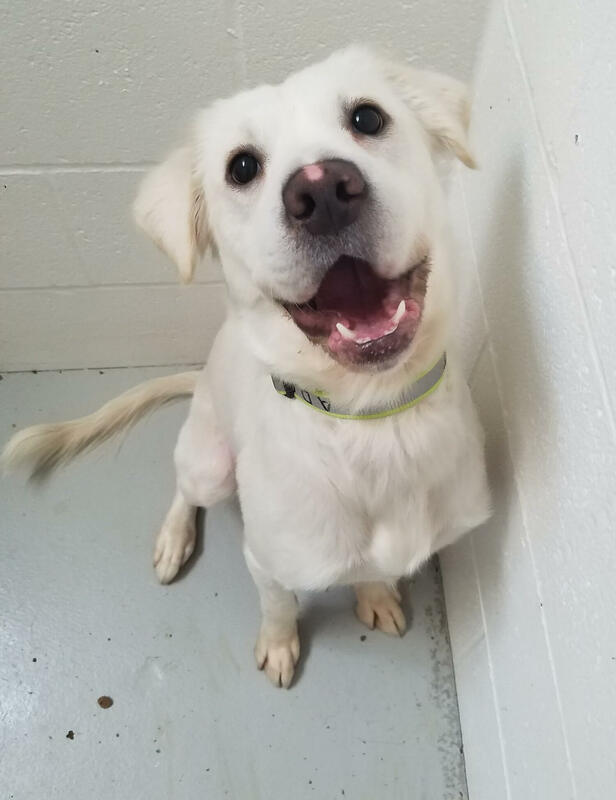 My name is Brie and I am hilarious and adorable 2 year old Golden Retriever mix. Just like the yummy cheese I was named after, I am not golden at all, but rather a beautiful soft cream/white color that will make heads turn as I walk down the street. But my beauty isn’t all I have. I have got a funny, goofy personality to go right along with it! When I am not making the Pixie crew laugh at my funny antics, I am asking them for some love and pets, as I am very friendly and social. I sometimes still act like I am a puppy and can be bouncy, and overall just love to be active in the great outdoors! In fact, I am still new to the city life, being from the rural parts of Washington and I would just love to stick with my roots, and be in a more rural environment with a big yard to run around and play ball in! Did I mention I like to play? With pretty much anyone–from other pups and humans over the age of 10! I am just a little too interested in cats though, so none in my home please. Always sweet and never stinky, my cheesiness is always entertaining, as well as I am always loving. Will you brie mine? Then fill out an application today, so we can meet! I come to you spayed, micro-chipped, and vaccinated with an adoption fee of $300.